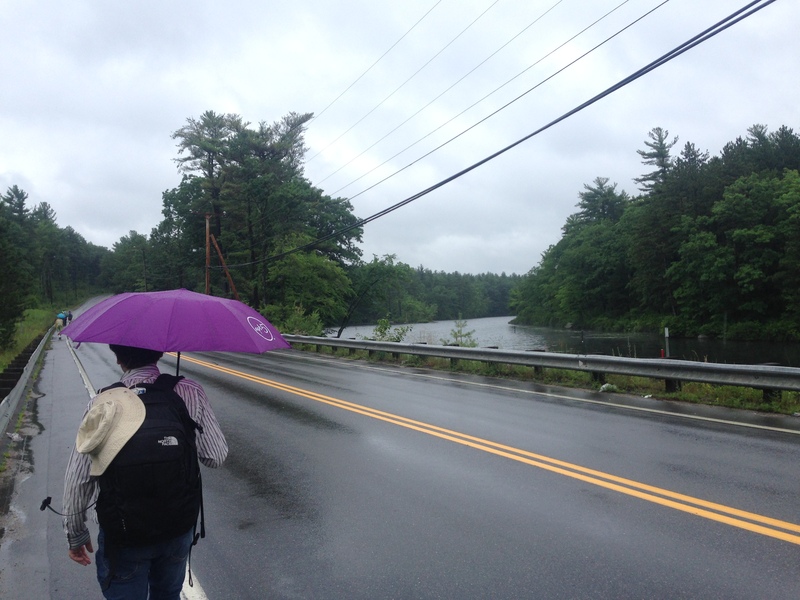 Friend Honor Woodrow, member of Framingham Monthly Meeting, wrote the following reflection at the end of Day 5 of our Climate Pilgrimage in Manchester, New Hampshire. Great things did the Lord lead me into, and wonderful depths were opened unto me beyond what can by words be declared; but as people come into subjection to the Spirit of God, and grow up in the image and power of the Almighty, they may receive the word of wisdom, that opens all things, and come to know the hidden unity in the Eternal Being. I still have no idea what is required of me in these times of catastrophic climate disruption, but I know that tomorrow when I wake up I will put one foot in front of the other, as I walk with others, some of whom have heard a clear and prophetic truth, and others who, like me are still listening, because I trust in the hope offered by the Quaker tradition, which tells us that when things don’t seem clear, when things feel baffling, when we feel weak, vulnerable, unworthy, insufficient, and confused- that that is the moment when we might receive wisdom- and if our actions spring from this place, wonderful things might be revealed.